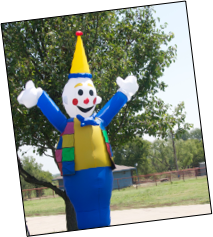 He will make you giggle! 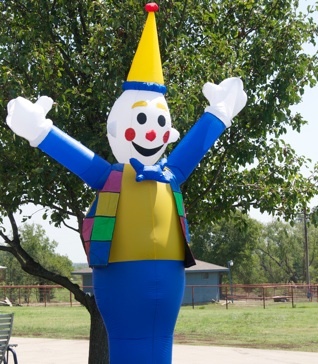 Happy Clown stands 10 feet tall and will definitely attract a crowd as he adds he waves. 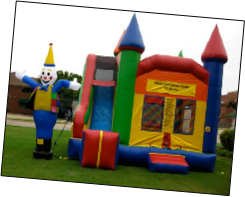 He will bring a festive atmosphere to your event! 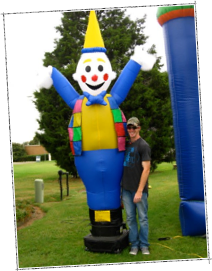 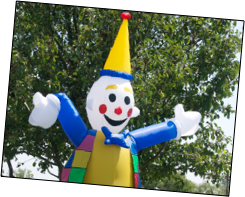 Happy Clown is perfect for advertising your business, graduation party, birthday party, church event or any other type of event you can think of.